Baccarat is a classic casino card game that has been known for being a hallmark of exclusive high stakes areas in land-based casinos. When online casino games became more popular, Baccarat was removed from its shroud of mystery, and low stakes players were able to get in on the action on a regular basis for the first time ever. 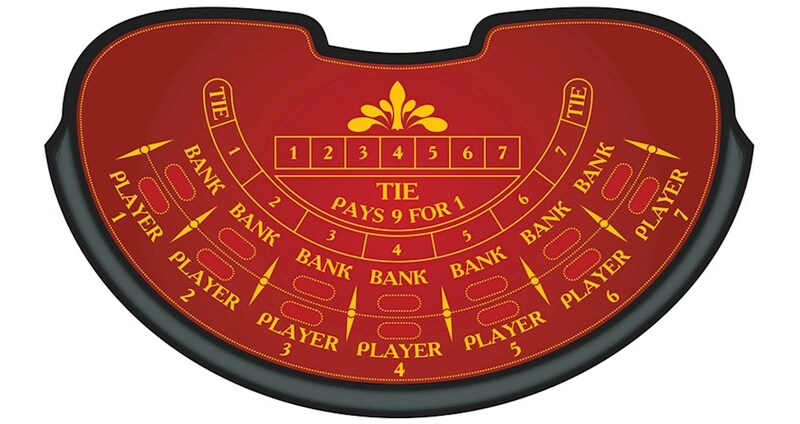 Because most people only had access to the rules and strategies for this game relatively recently, not many know how to play Baccarat well or what the odds are. We're going to walk you through all of this so that you know everything that you need to maximize your chances of winning and having a good time. The basic gameplay is that players make bets on the outcome of two hands facing off against each other. There are always two hands facing off no matter how many players are at the table betting, and those hands are represented by the "banker hand" and the "player hand." These labels are largely irrelevant, however, since you can bet on either hand. The winning hand will be the one that has the "ones digit" that's closest to nine with the highest digit winning. For example, if the banker has 16 and the player has 7, then the player wins since the banker's score is essentially just six since that's the "ones digit" of 16. If the player hand was hit, then there is a complicated set of rules to determine if the banker hand stands or hits. These rules are generally the same in all Baccarat games, and they're known as the drawing rules. The drawing rules for Baccarat are only applicable when the player hand has hit, and they're used to determine when the banker hand will hit. These rules are based on the value of the player hand's third card from hitting and the banker's score. When the banker has seven, he always stands. The banker will hit a six if the player's third card was a six or seven, and a five will be hit if the player's third card is a 4-7. When the banker has a total of four, he'll only stand if the player's third card was worth zero, one, eight or nine. Finally, the banker will only stand with a three if the player's third card was an eight. For all other values with a score of three or lower, the banker will hit. While it's important to be familiar with these rules so that you know if you're being cheated, the gameplay is pretty automatic, and you don't have to make any decisions about any of these drawing rules since they are handled by the dealer. The banker and player bets are bets that the banker or player bets will win, respectively, and the tie bet is a wager that the two totals will end up in a tie. The banker bet pays 0.95:1, the player bet pays 1:1, and the tie bet usually pays 8:1. As a general rule, the banker bet is always the best bet in the game with a house advantage of only about 1.06%. However, the player bet isn't far behind with a house edge of just 1.24%. The tie bet, on the other hand, has a whooping 14.4% house advantage, and it's a major league trap bet to catch people who don't know any better. The bottom line with the basic bets is that you can switch between the banker and player bets on a whim, but you should never take the tie bets under any circumstances. Some Baccarat games, especially online, will have other atypical bets. One is called a pair bet, and this is a bet made on either the banker or player (but not both) that the first two cards will be of the same rank. A pair bet pays 11:1, and it has a large house advantage of 10.4%. While this isn't as bad as the tie bet, it's still so large that you should never bother with it. In a version of Baccarat called EZ Baccarat, you can also have two side bets. EZ Baccarat is made slightly easier to play with simple 1:1 payout change for the banker bet. However, if the banker wins with three cards that make a total of seven, then the hand is a push instead. That's what compensates for the change in payout, and this new banker bet has a slightly lower house advantage of 1.02%. In EZ Baccarat, the two side bets are the Dragon 7 and the Panda 8. The Dragon 7 pays a rate of 40:1 when the banker has a total of seven that beats the player, and the Panda 8 pays 25:1 if the player wins a hand with three cards that add up to a score of eight. Like most side games added to traditional table games, the Dragon 7 has a high house edge of 7.6%, and the house advantage on the Panda 8 is 10.2%. Because Baccarat has some features in common with blackjack, and because card counting is a viable strategy in certain blackjack games, many people come to the logical conclusion that there might be some form of card counting that's valid in Baccarat. Unfortunately, this isn't the case. The nature of the game means that, even with a perfect points-based card counting strategy, you would only get a chance to have an advantage over the dealer once or twice every several hundred hands. This keeps it from being a viable strategy because of imposed table limits on bet sizes that keep you from betting amounts that are large enough to get an advantage when those opportunities come along.